MassINC’s report Criminal Justice in Massachusetts: Putting Crime Control First, posed a simple question: “What policies would reduce crime?” For answers, we turned to nationally recognized crime policy expert Mark Kleiman of UCLA (formerly of Harvard University’s John F. Kennedy School of Government) and his colleagues at BOTEC Analysis Corporation. The report offered a comprehensive set of recommendations for improving the Massachusetts criminal justice system, recommendations which touched on virtually all of the key areas of our current system. Many of these recommendations –including the Sentencing Commission guidelines, major reform of our probation system, increased support for community policing, and increased prison education and drug/alcohol treatment efforts –are now under active consideration by state and national policy makers (in both the executive and legislative branches of government), as well as practitioners throughout the criminal justice system. 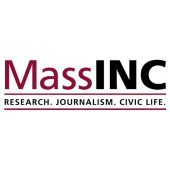 In an effort to learn more about the public’s views on many of these critical issues, MassINC, in partnership with the Crime and Justice Foundation, commissioned Tubby Harrison of the polling firm Harrison & Goldberg Incorporated, to conduct an extensive public opinion survey on the subjects of crime and criminal justice. This report analyzes the results of a telephone poll of 400 registered voters in Massachusetts. Interviewing for the poll was conducted between April 2 and 9, 1997. The poll’s margin of error is plus or minus 5 percent.